Most first birthday parties feature Disney princesses, Marvel super heroes, and construction sites. 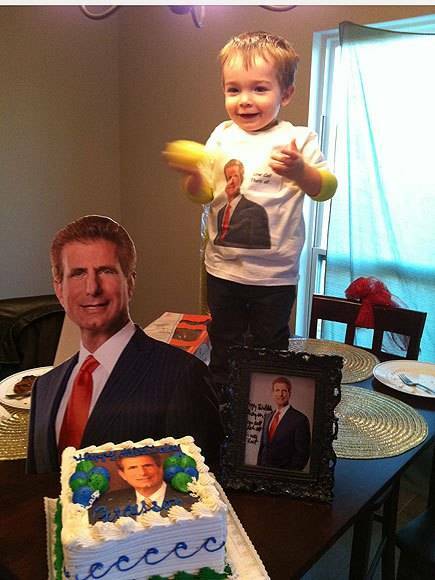 But not the first birthday party of a boy in Prairieville, Louisiana. His was centered around a single, real-life man. His name? Morris Bart. Morris Bart may not be a familiar name to you, but to a little boy about to have his first birthday party, he was a superhero. He may not have been a fictional character, but he was a character the tot had seen on television time and time again. And no, not during a show, but during the commercial breaks. Getting warmer? Morris Bart is a personal injury lawyer. 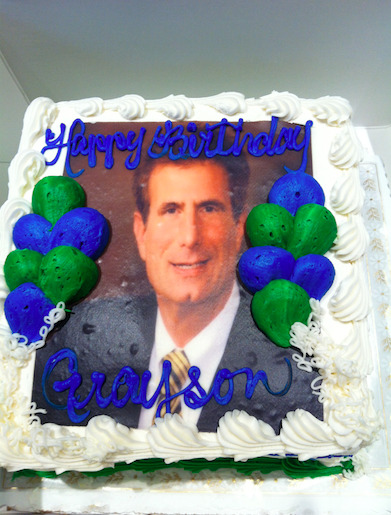 His ads are ubiquitous on the airwaves around Prairieville, and they apparently got through to little Grayson. Every time a Morris Bart commercial would come on the TV, Grayson would devote his full attention. In Grayson’s mind, he was a friend. So when Grayson’s first birthday party was approaching, his mom knew exactly the superhero theme to select. Despite the more traditional party suggestions of family and friends, like Mickey Mouse, Grayson’s mom selected Morris Bart. After contacting the lawyer’s office, the family was sent a signed photograph and other chotchkies. At gift time, Grayson got to open a life sized cardboard cutout of the lawyer, as well as a t-shirt printed with his face. There’s a lesson here for all who plan events. Selecting a party theme is a difficult task. Selecting one that is memorable is often in conflict to selecting one of quality. Perfection is rarely memorable. We tend to remember things that make us laugh or catch us by surprise to a greater degree than those that meet our expectations. Additionally, significance is always better than mere elegance or opulence. What makes the Morris Bart theme so touching is not that it was merely out-of-the-box, but that it was meaningful to little Grayson.